Our Photographers specialize in wedding photography, senior and family portraits, engagement photos, baby pictures, real estate and product photos and pet photography. We provide photography services to Lake County, Cook County, McHenry County, Cook County, North Chicago, Vernon Hills, Libertyville, Mundelein, Lincolnshire, Green Oaks, Grayslake, Wauconda, Lake Zurich, Round Lake, Buffalo Grove, Long Grove, Indian Creek, Gages Lake, Round Lake Park, Round Lake, Volo, Fox Lake, Lindenhurst, Lake Villa, Old Mill Creek, Wheeling, Prospect Heights, Palatine, Carol Stream, Barrington, Inverness, Rolling Meadows, North Barrington, Tower Lakes, Waukegan, Wadsworth, Gurnee, Lake Forest, Northbrook, Deerfield, Park Ridge, West Chicago, Lake in the hills, Woodstock, Lake Geneva, Algonquin, Our primary locations in lake county include Burbank, Oak Lawn, Hometown, Chicago Ridge, Summit, Clearing, Justice, Bedford Park, Bridgeview, Hickory Hills, Worth, Palos Hills, Alsip, Crestwood, Midlothian, Harvey, Robbins, Palos Park, Orland, Lemont, Darien, Willow brook, La Grange, Hinsdale, Brookfield, Berwyn, Westchester, Downers Grove, Maywood, Lawndale, Lombard, Glen Ellyn, Carol Stream, Carpentersville, Wheaton, Forest View, Antioch, Bannockburn, Barrington, Barrington Hills, Beach Park, Buffalo Grove, Deer Park, Deerfield, Fox Lake, Fox River Grove, Grayslake, Green Oaks, Gurnee, Hainesville, Hawthorn Woods, Highland Park, Highwood, Indian Creek, Island Lake, Kildeer, Lake Barrington, Lake Bluff, Lake Forest, Lake Villa, Lake Zurich, Lakemoor, Libertyville, Lincolnshire, Lindenhurst, Long Grove, Mettawa, Mundelein, North Barrington, North Chicago, Old Mill Creek, Park City, Port Barrington, Riverwoods, Round Lake, Round Lake Beach, Round Lake Heights, Round Lake Park, Third Lake, Tower Lakes, Vernon Hills, Volo, Wadsworth, Wauconda, Waukegan, Wheeling, Winthrop Harbor, Zion. Our primary location in McHenry County include Alden, Algonquin, Barreville, Belden, Big Foot Prairie, Bull Valley, Burtons Bridge, Camp Algonquin, Cary, Chemung, Colby Point, Coral, Coyne, Crystal Gardens, Crystal Lake, Crystal Manor, Crystal Vista, Eastwood Manor, Emerald Park, Ferndale, Fox River Grove, Franklinville, Greenwood, Haegers Bend, Harmony, Hartland, Harvard, Hebron, Holcombville Corners, Holiday Hills, Huntley, Johnsburg, Lake in the Hills, Lakemoor, Lakewood, Lawrence, Lilymoor, Marengo, McCullom Lake, McHenry, McHenry Shores, North Shore, Oakwood Hills, Palm Beach, Pistakee Highlands, Port Barrington, Prairie Grove, Rawson Bridge, Richmond, Ridgefield, Ringwood, Riverstream, Silver Lake, Ski Hill, Solon Mills, Spring Grove, Sunnyside, Terra Cotta, Trout Valley, Turner Camp, Union, Wonder Lake, Woodstock. In Wisconsin our main cities include Bohners Lake, Browns Lake, Burlington, Caledonia, Dover, Eagle Lake, Elmwood Park, Franksville, Mount Pleasant, North Bay, Norway, Racine, Raymond, Rochester, Sturtevant, Union Grove, Waterford North, Waterford , Wind Lake, Wind Point, Yorkville, Madison, Milwaukee, and Cary. In addition our service extends up through Madison Wisconsin and down to Champaign Urbana. Serving Illinois and Wisconsin. North Brook 60062, Barrington 60010, Chicago 60606, Winnetka 60093, Lake Forest 60045, Lafox 60147, Hinsdale 60522, Schaumburg 60196, Lincolnshire 60069, Wilmette 60091, Lake Bluff 60044, Downers Grove 60515, Gurnee 60657, Lemont 60439, Rockford 61125, Aurora 60504, Orland Park 60467, Crystal Lake 60014, Naperville 60567, Prospect Heights 60070. Photography for Midwest region, Illinois Wisconsin Iowa Indiana. Plum Tree Studio photographers were amazing. Very professional and they knew what they were doing. The studio owner was always willing to talk us through any questions. Very small studio, which means that they can spend personal time with each person! 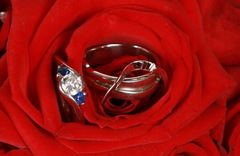 We have already recommended them to everyone we know who is getting married. Our photographer was the most professional of all of our wedding vendors! This is the most well priced photographer in all of lake county. 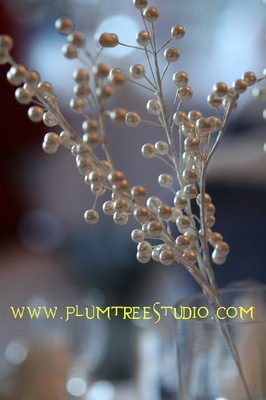 We found a diamond in Plum Tree Studio Photography! 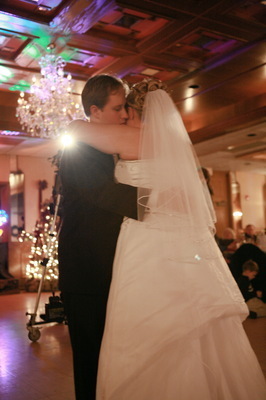 Our wedding was in Arlington Heights Illinois and the reception was in Northbrook Illinois. We had been planning for months and lucked out to find that Plum Tree Studio still had a photographer available. Due to our busy schedules, we had a phone consultation and felt like we knew our photographer (who was also the owner). This was our special day and we were both a wreck. Our photographer really put our minds at ease though. The ceremony was not distracted and she got every shot like a hawk. Wow. At the reception and formal portraits she had an eye for balance. Mom and dad were really impressed, which speak a lot. We spent a fair amount, and it was a fair price and we had no regrets. We would have been devastated if we had hired some amateur to shoot our wedding (or agreed to let our uncle photograph us). The photos we got back were 130% worth the price, which was still very affordable. The quality of the images and professionalism of the photographer were well worth every penny. No regrets. Ten stars! I think they do weddings all through the Chicago area and suburbs.